The Hakomi Method speaks about nourishment barriers. They are aspects of our psyche that keep certain kinds of experience out of our awareness. Nourishment barriers are an armor that certain experiences, certain kinds of nourishment, cannot penetrate. In this post, I will outline what the nourishment barriers are as well as talk about ways that we can work with them both within ourselves as well as with others. In our early lives we all develop strategies in order to protect ourselves from a harsh world. To do this, we create maps that help us navigate our life experiences. These maps tell us what is safe and what is not, what is pleasurable and what is painful. They help us maximize nourishment in our environment and also help us curb any perceivable threats. These maps are necessary and skillful in our early lives. They keep us safe to the best of their ability. However, as adults these maps often become obsolete and outdated. They may no longer maximize available nourishment and may perceive threats where there no longer are any. Nonetheless, the maps stay in place. They are self perpetuating. They become habitual, patterned reactions. They stay with us whether or not it’s a skillful adaptation or not. These patterned reactions become barriers to experience and are embedded in the cycle and rhythm of life. Hakomi has a system for understanding this called the Sensitivity Cycle, which breaks down the stages and rhythm of experiences. I’ll briefly describe the sensitivity cycle and then go into the nourishment barriers in a little more depth. When we enter into an experience, we gather an immense amount of information in each microsecond. As we accrue this information, we make contact with our perceived reality and in that contact we are given the opportunity to make choices about how to interact with our perceived reality. As we make these choices, we translate our motivations and desires into action. After taking an action, we can evaluate our experience. Are we satisfied with it? Was it nourishing? When an experience ends we have the opportunity to rest and understand what happened. In reflection and rest we can adjust our motivations and choices to maximize our desired outcome for future experiences. We can also begin to include in a lot of other factors such as our impact on others around us. Hakomi labels these stages as: clarity, effective action, satisfaction, and relaxation. Clarity means moving into an experience with understanding of what is happening and what our desired outcome is. Effective action means having the capability of mobilizing energy to carry out that intention. Satisfaction is simply that. Are we satisfied with our experience? Do we need to make any adjustments? Have we fully let go of the experience and moved on to the next? Or do we cling to a pleasurable experience? Do we get caught in craving one experience over another? 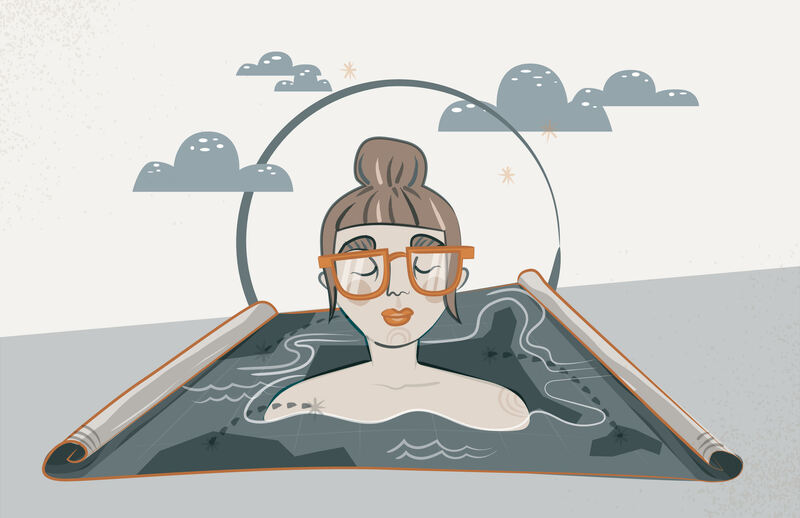 And finally, relaxation means fully letting go of an experience before we continue to move forward. Do we replenish our energy here? Or do we get caught in a cycle of constant forward motion? This cycle engages both the sympathetic and parasympathetic nervous systems. Our sympathetic nervous system allows us to mobilize for action; it brings alertness and energy. The parasympathetic system allows us to relax and regenerate our energy. If there is an imbalance, or a nourishment barrier, it can be difficult to complete the full cycle. We can get stuck in any stage. For example, we can get stuck in mobilization; always being on the go; being productive; getting things done and we may find it very difficult to rest and reflect. Once we complete a task, we are already immediately on to the next? Conversely, with a lack of sympathetic activation we can be stuck in laziness, lethargy and a lack of motivation or clear seeing. These stages thus have a direct impact on our physical armor. It influences not just where we hold tension in our bodies but also our neurochemistry, which I will expand upon in future posts. The nourishment barriers correspond with the sensitivity cycle. They are: the insight barrier, response barrier, nourishment barrier and the completion barrier. 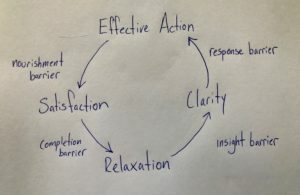 The insight barrier corresponds to clarity, response barrier to effective action, nourishment barrier to satisfaction, and the completion barrier to relaxation. 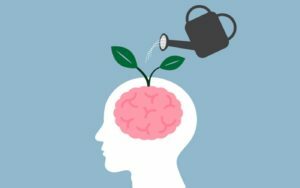 Before I get into the specifics of each barrier…It’s important to see some potential signs that may indicate that a barrier is activated, whether you’re noticing it within yourself, a family member, friend, partner or lover or even client if you’re a psychotherapist, or healer of any kind. • Experiences of overwhelm with characteristics of wanting to hide or dissociation. • Sudden changes in energy with a variety of signals such as sweating, loss of eye contact, headache, going blank or spacey after being engaged etc. The insight barrier is characterized by confusion, or as you may have guessed, a lack of insight. Information is hard to understand and apply. People with insight barriers often feel the need to withdraw, usually from a sense of overwhelm. This can cause some spaciness or even some dissociation. In this barrier, there can be a strong preoccupation with safety, which obviously will be further exacerbated by any abuse or trauma throughout development. The function of this barrier is to avoid seeing things about the self or about the world that are threatening. There will be an avoidance of exposure to certain information, thoughts, or images that could activate painful memories. At its core, the insight barrier is protection from feeling. Somatically this can manifest as a lack of sensation in the body. There will be a disconnection from sensate experience often in favor or being overly intellectual or analytical. People with this barrier also will tend to avoid physical contact or touch. Whether you’re working with a client, or you’re relating to a good friend, family member or a lover, there are ways to work with the insight barrier that will be helpful. Putting an emphasis on safety is paramount. Do everything you can to make this person feel safe, free of judgment or any pressure to change the way that they are. People with an insight barrier typically need to move slowly, so adjusting your pace to match them will also be very helpful. Stay in contact with them! If you abandon them when they start to open up to you, it will no doubt retraumatize them and further reinforce their tendency to withdraw. Saying things like, “you belong here,” or “I’m so glad you are here,” or “there is nothing wrong with you,” will be powerful for folks with this barrier. Find ways to bring their attention back into their body and present moment sensate awareness. This will help them ground in their body and begin to pay attention in ways that may feel new or scary to them. Considering their preoccupation with safety, it will be necessary to be consistently trustworthy. Working with this barrier will require a slow pace and a steady build of trust and dependability in connection. The response barrier is characterized by an inability to act. There is a lack of capability to respond to stimuli and take effective action. People with this barrier can embody it in different ways. 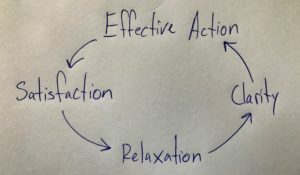 At one end of the spectrum, many struggle with laziness and at the other end, are in continuous movement and action without any rest or reflection. For those on the more lazy side of the barrier there is often a sense of being burdened and heavy. There is a strong weight keeping them down that makes any kind of mobilization very difficult. These people can be slow to respond to contact. They might even have a strong desire to respond and take action but nonetheless have a feeling of being incapable of movement. This can often be indicative of protecting oneself from being wrong. If they take an action and they are wrong then they might be chastised, judged or made fun of. Taking action becomes a risky behavior and it is simply safer to stay in inactivity. This stunts growth in terms of accepting responsibility for oneself and ones choices. On the other end of the response barrier spectrum, those who are in constant motion and have an inability to rest and reflect often maintain a sense of grandiosity and entitlement (the beginnings of narcissism). In terms of the body, there can be an addiction to stimulation (a growing problem for the new generations being raised with technology, social media and a massive amount of screen time). There can also be a relationship between self-worth and productivity here. I can only feel good about myself, or feel worthy if I am constantly in motion, getting things done; being productive or successful. Working with people at this barrier requires a lot of patience. Ensuring a sense of equality between you and them will be important. Saying things like, “you don’t have to” or “you’re good enough just the way you are,” will go a long way. Trying to override their system and force them into action will not work (or conversely trying to force them to rest). Do not push or fight them. Work with them where they are. Treat them with respect and even some lightness and humor to counteract their heaviness. The nourishment barrier will dismiss certain kinds of nourishment entirely. Sometimes experiences will not be enjoyed or allowed in because they are not good enough. Nourishment may even feel toxic to the system, or there may be a fear that the nourishment will not last or will be taken away, which creates pain. The result is being deprived and often lonely, although people who have this barrier often do not even know of their deprivation or loneliness. Often, those with this barrier will deny their own needs, or in combination with the insight barrier, be unaware of their needs to begin with. They will often be stoic and say that they are in fact “fine”, or “don’t need anything.” In my previous post about the Hakomi character types I speak about this in more detail, as this is a common barrier for me. I tend to be focused on those around me, care-taking them, and experiencing “vicarious satisfaction,” all the while, being in denial and fear of my own sense of wants and needs. There is both loneliness and longing at this barrier. The function of this barrier, like all others, is to protect. The nourishment barrier protects from disappointment, from manipulation or being used, from feeling vulnerable, inferior or suffocated. This can manifest a few different ways in the body such as a collapsed or sunken chest or on the other end of the spectrum a false sense of confidence with a blown up chest trying to show strength. Working with people who have this barrier will require patience as well. You cannot force the system to accept nourishment. It will have to allow it in in small doses. To do this you have to find balance between being both nurturing and being boundaried and discerning in rejection. You can help to model skillful discernment and discrimination. You can show people at this barrier that you can accept in nourishment and protect yourself at the same time. This barrier consists of being in continuous activity and movement on one hand. On the other hand, it can be characterized by never completing anything, cutting off projects or actions before they reach their conclusion. In either situation, the work is never done. There is no opportunity for relaxation and rest or feeling satisfied with your product. The function here is a striving for acceptance and love. People with this barrier have learned that achievement brings love, admiration, acceptance and respect. There can be a sense of needing to prove something to oneself or to others in order to acquire those things. People will often feel like: “I’m not worthy unless I…” fill in the blank. It can show up as: unless I get a higher paying job or position, unless I have a loving partner or family, unless I get a Ph.D. etc. The problem is that when those things are acquired it does not end. The completion barrier is in constant motion and looking ahead. Satisfaction will not come. The completion barrier can create a lot of tension in people. They are often tired, restless and frustrated. Working with this barrier, you will want to slow down and study the busyness. Mindfulness exercises will do wonders here. You can learn to slow down you system and savor experience. Working with people like this you will want to avoid praise. They will often feel like your praise is conditional and they must continuously work for it. Criticism should also be avoided, as they will often shame themselves for not getting it right or working hard enough. These barriers serve an important function. They were formed to protect us from painful and overwhelming aspects of our early lives when we were the most vulnerable and completely dependent on our caregivers for survival. There is nothing wrong or pathological here. These barriers can continue, to some extent, to keep our boundaries, dignity, and vulnerability safe from invasion, manipulation and exploitation. But they can also hold us back and keep us from being in deeper contact with our own experience, in turn keeping us from having the capability of deeper connections with others. They can keep us from being nourished by our environment. They can keep us from appropriately and skillfully responding to life’s various experiences. They can also keep us from letting go of the past and staying in the present moment. And perhaps most importantly, they can keep in locked in an unconscious patterned way of being in the world that limits our conscious decision-making. I want to state again that these barriers, all of them, exist in all of us. We tend to pull heavily on one but we exhibit characteristics from them all. They are natural and inevitable aspects of being human. They each have their strengths and weaknesses, their pros and cons.  The Hakomi Method of psychotherapy helps to study these barriers and to provide corrective experiences. We work slowly, we reduce the noise and begin to listen to our deeper needs. Within mindfulness, we can begin to counteract many of the weaknesses. Over time, as we grow, develop and mature, we begin to increase of capability to feel, explore and listen to our experience with more subtlety. 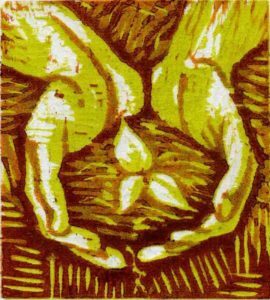 Working with the nourishment barriers will bring us deeper into ourselves and into a greater sense of whole-ness. Insight and contact with reality becomes wisdom and meaning. Action and mobilization becomes competence and then eventual mastery. Satisfaction and enjoyment builds fulfillment and joy. Rest and integration builds trust of vulnerability and surrender. A special thank you to Sarah Ellen for the beautiful original artwork!